Buckingham Palace only opens for a few weeks in the Summer when the Queen is away in Scotland. To coincide with each summer opening, there’s usually a special exhibition on show (though seeing the Palace state rooms themselves is worth the price of admission!). This year, the Royal Collection Trust will be exploring Queen Victoria’s life at the Palace. This year’s summer opening will run from July 20th to September 29th. We highly recommend booking ahead. 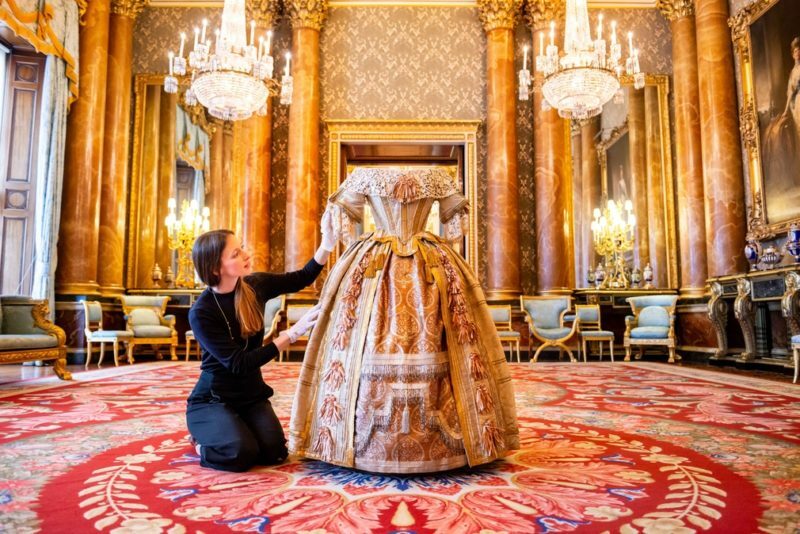 Queen Victoria’s Palace, curated by the historian and biographer Dr Amanda Foreman and Lucy Peter, Assistant Curator of Paintings, Royal Collection Trust, is part of a visit to the Summer Opening of the State Rooms at Buckingham Palace, 20 July – 29 September 2019. The exhibition is accompanied by the publication Inside Queen Victoria’s Buckingham Palace by Dr Amanda Foreman and Lucy Peter. If you’re in London from July to September, this will definitely be worth checking out! Booking ahead is essential.